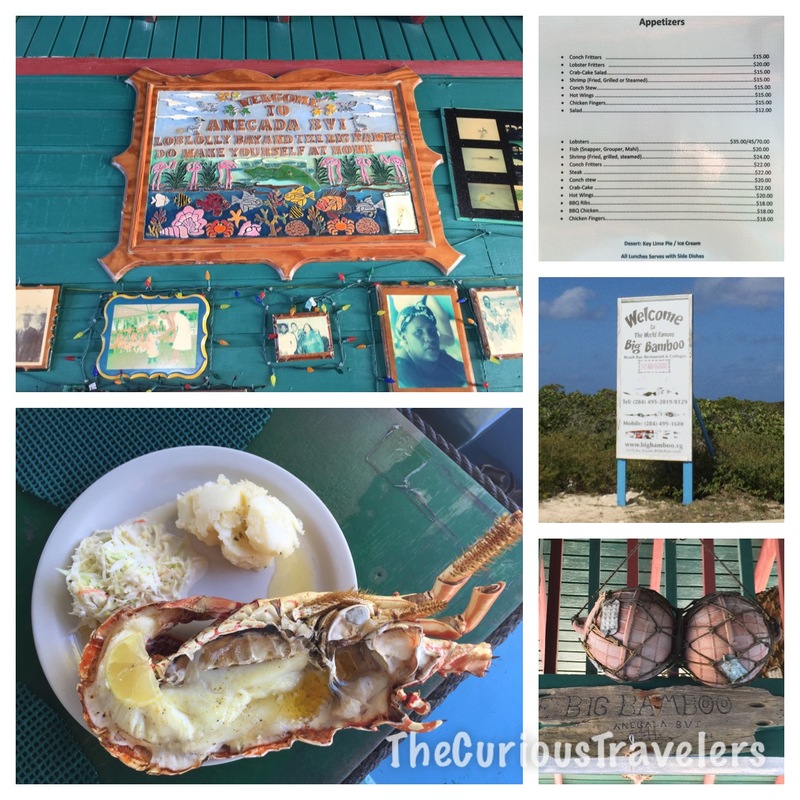 As you may remember, we took a day trip to Anegada from Virgin Gorda last year. If you also recall, it poured down rain The. Whole. Time. So this year’s day trip had nowhere to go but up. And up it did! Though windy, the sun was shining so we were happy. 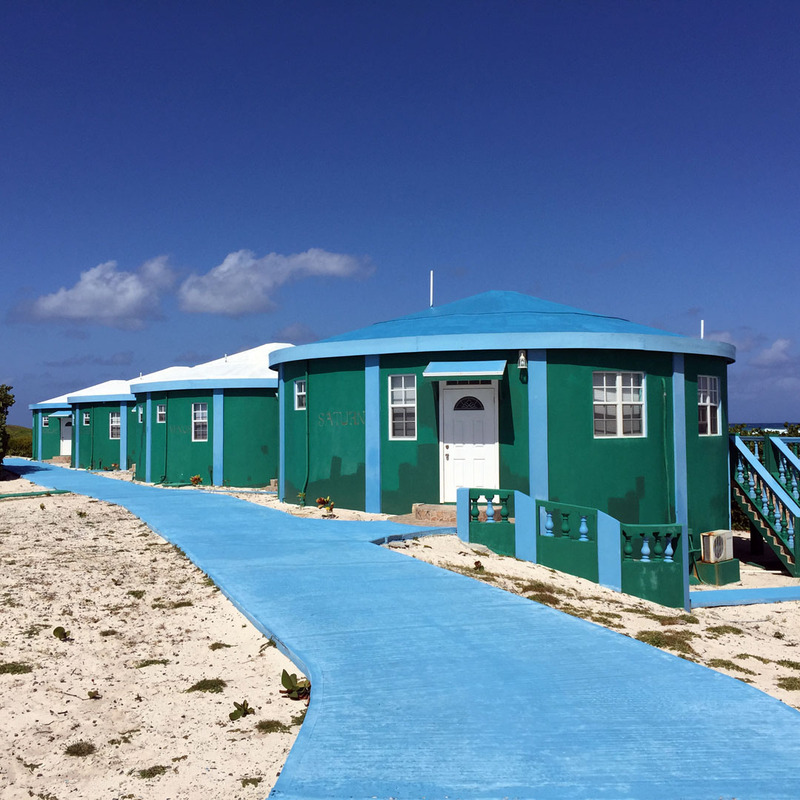 Anegada is the only coral atoll in the British Virgin Islands. 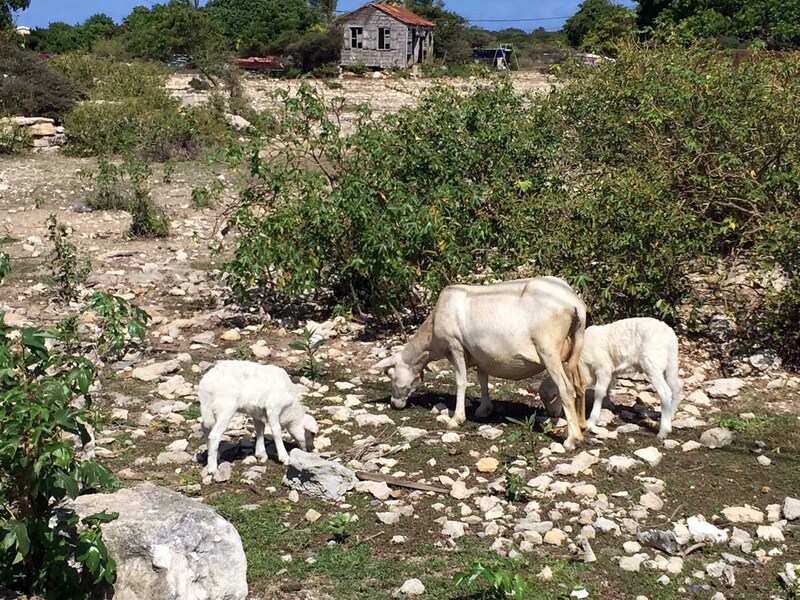 At 15 square miles, it is the second largest BVI but also the most sparsely populated (~200 people — yep, you read that right, only 200 bodies!). It lies ~15 miles north of Virgin Gorda. 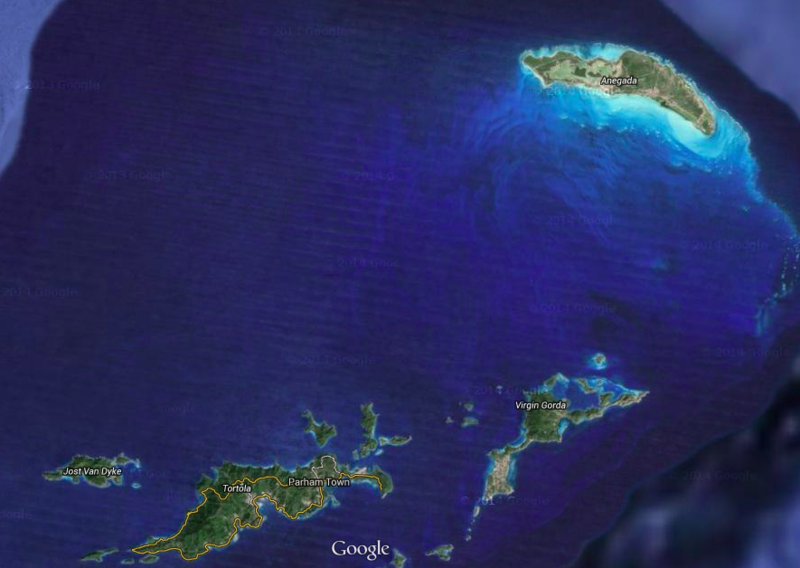 From the Google map below, you can easily see that not only is Anegada far from the other BVIs, but its reef is considerably more extensive. 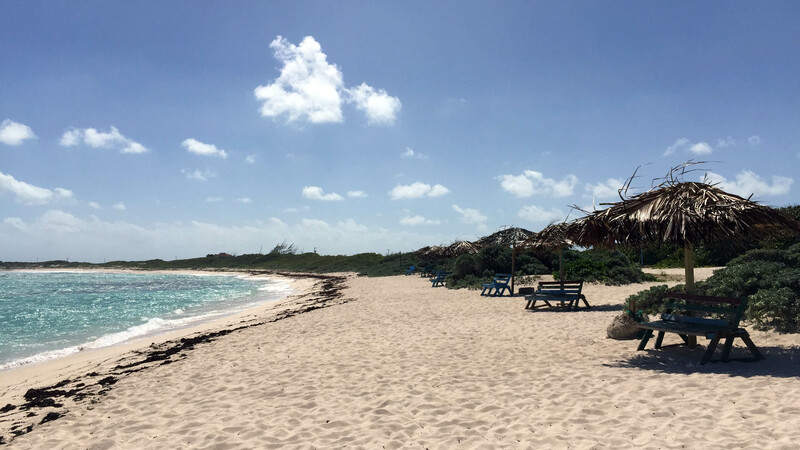 For that reason, snorkeling, scuba diving, and sailing are the big draws to Anegada, and it has been known to cause many a shipwreck for those who couldn’t navigate the reef system. 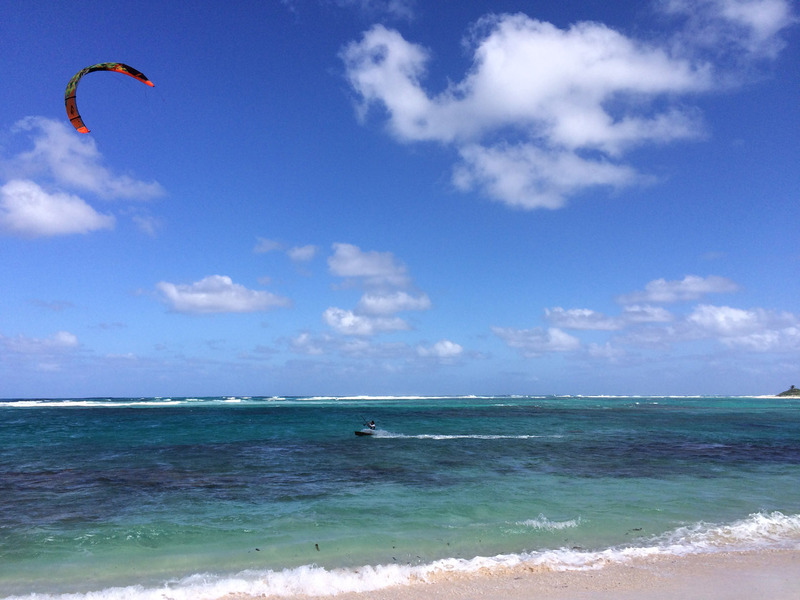 Last but not least, Anegada is as flat as the rest of the BVIs are hilly. Yowzers! 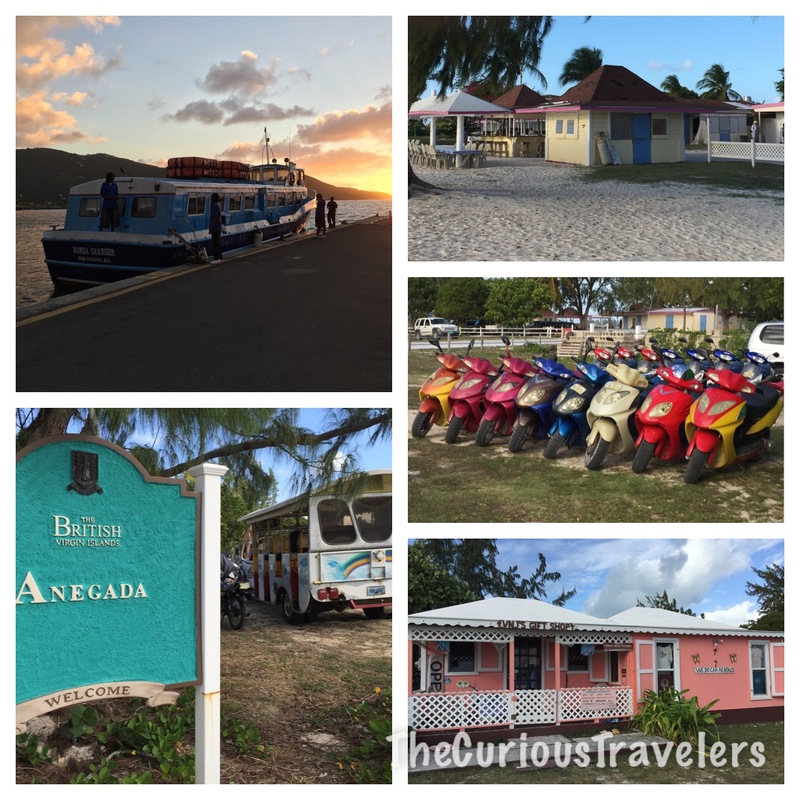 So clearly…Anegada stands alone as a very unique BVI. In contrast to last year’s chartered trip, this year we took the ferry from Tortola to Anegada, not expecting that we’d be the only tourists on it. Score! Despite the fact that we stood out like sore thumbs, it felt the most authentic (and was certainly the most cost effective) to take local transportation. Taking the morning ferry meant we had longer to spend on Anegada, since we arrived by 8:30am and didn’t leave until 5pm. A full day of bliss. Calling ahead, we knew that most of the rental cars on the island were booked for the day (errrrgh! ), but we took our chances and asked around once we got ashore. We didn’t want a scooter (in case of rain) and we wanted the freedom to drive ourselves, instead of being shuttled around on one of those tourist-van thingies that were lurking around the ferry dock. Luckily for us, nearby S&K rentals came to the rescue and rented us one of their very last options — a dilapidated pick-up truck. Despite missing a passenger door handle and having a steering column that clanged like a cow bell every time we hit the many sandy ruts (and there were many), the truck worked like a charm. We named her Daisy, given her cow-like tendencies. 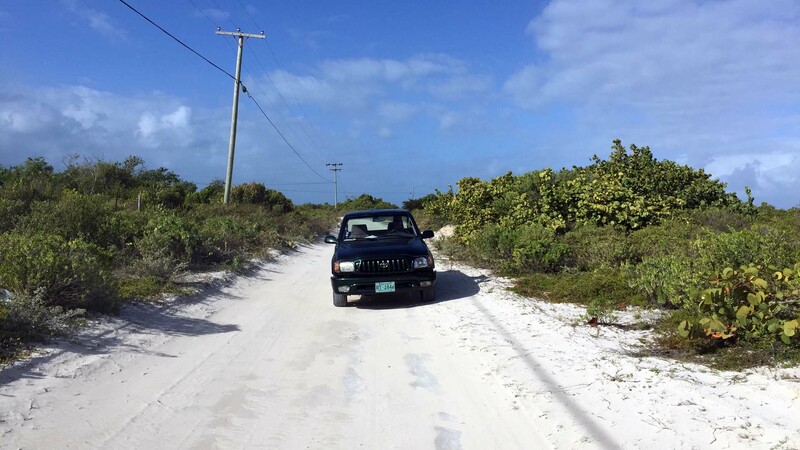 Starting clockwise around the island from Setting Point (where the ferry dock arrived), we quickly got onto the sandy roads and explored the real Anegada. 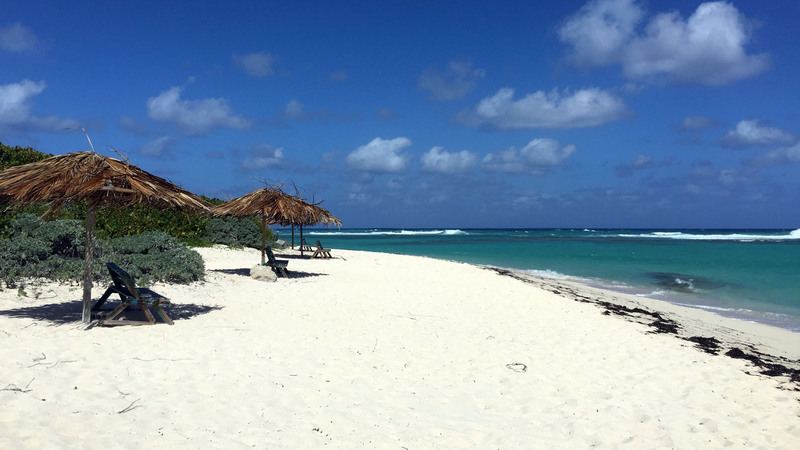 The thing is, there really isn’t much to Anegada. Its biggest perk is in the surrounding sea. The island itself is actually quite eccentric — landing somewhere between completely isolated and preparing for commercialization. 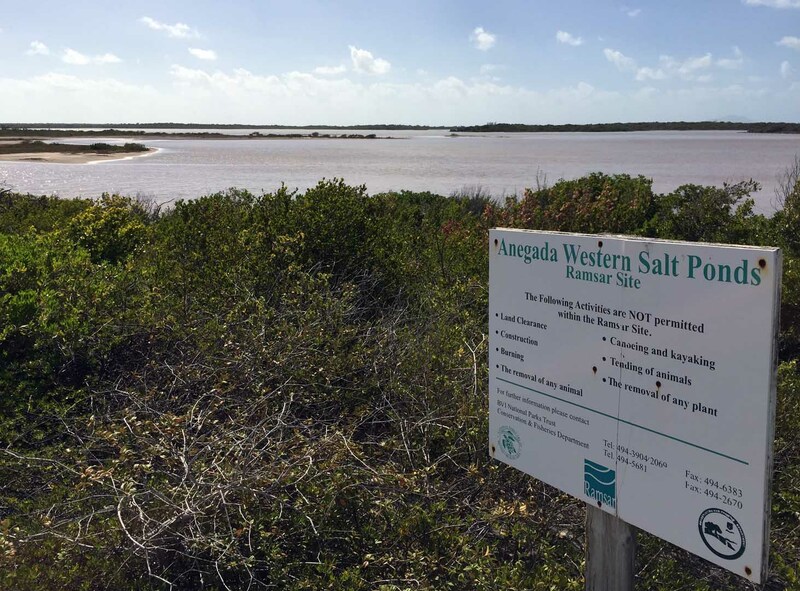 …or the salt ponds that make up the western interior of the island, where the shy flamingos live. 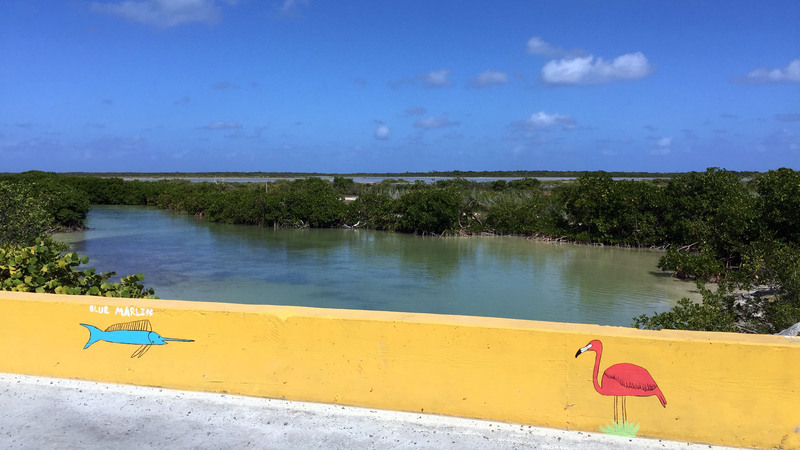 Without binoculars, the only flamingo we saw was the one painted on the bridge. But supposedly the real ones are way in the middle back of the below picture. You can see a faint pink blur back there if you really put your mind to it. As far as we knew, they could have easily placed fake plastic yard ornaments in the salt ponds to trick the silly tourists. 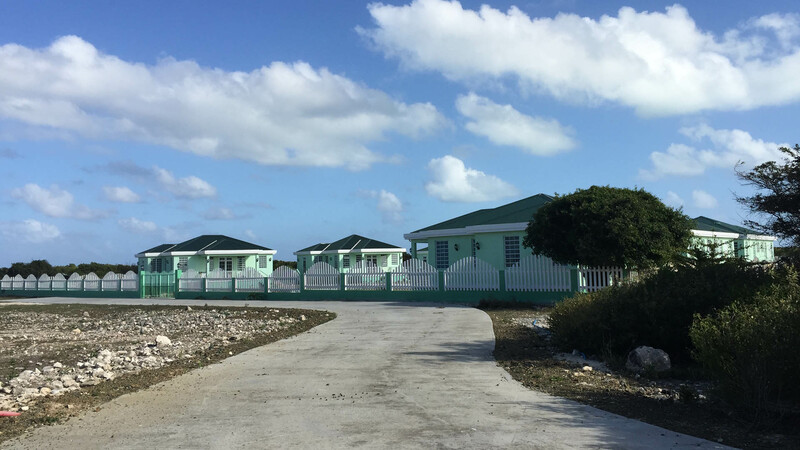 So apparently Anegada is thinking about becoming more populated and/or commercialized, but until then, it’s an interesting mixture of not-so-much and trying-to-be-something. Based on our research, we knew that Cow Wreck Beach and Loblolly Beach were the two most popular beaches on the island. Never having seen Cow Wreck Beach before, we stopped in. Being only 9:30 in the morning there was absolutely nothing going on. But I can imagine the place starts to hop in the afternoons! 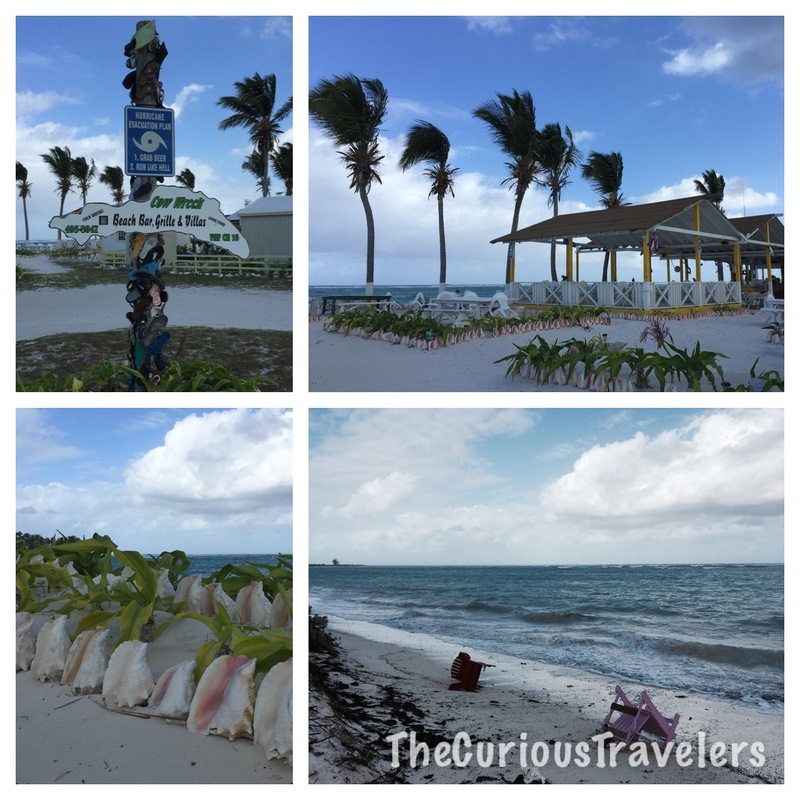 I loved the conch shells that lined the area. Unique. 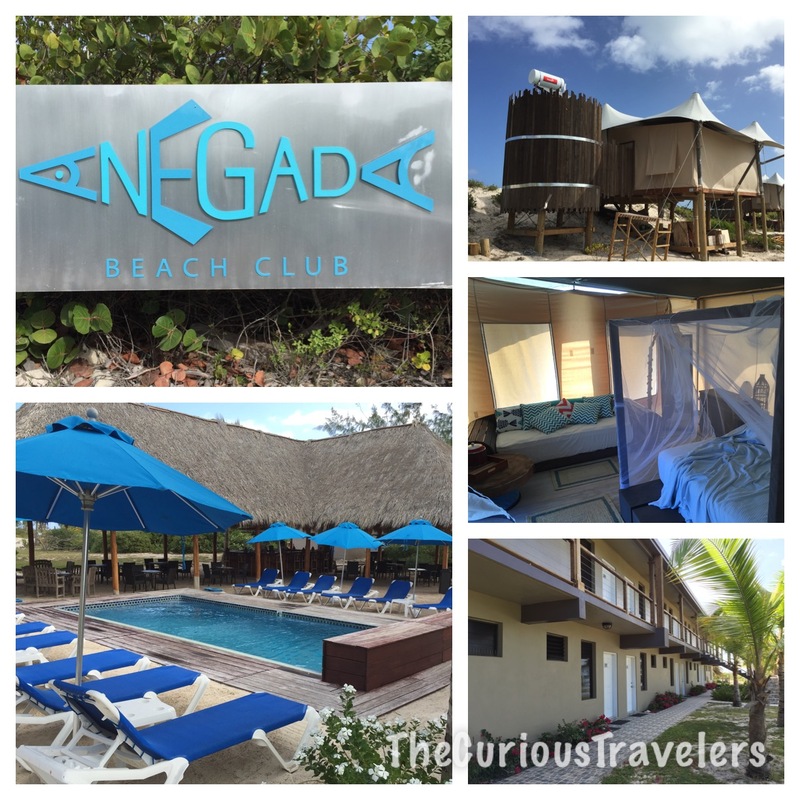 Just up the road, Agenda Beach Club was completely unlike anything else on the island. Modern, up to date, with a pool, outdoor bar, and almost upscale motel-like suites available. But their newest accommodation offerings were “tents” on the beach. And these were no average tents — for lack of a better word, this must define “glamping” (i.e., glamorous camping). They included a one bedroom tent with bed, sitting area, and adjoining solar-powered bathroom. 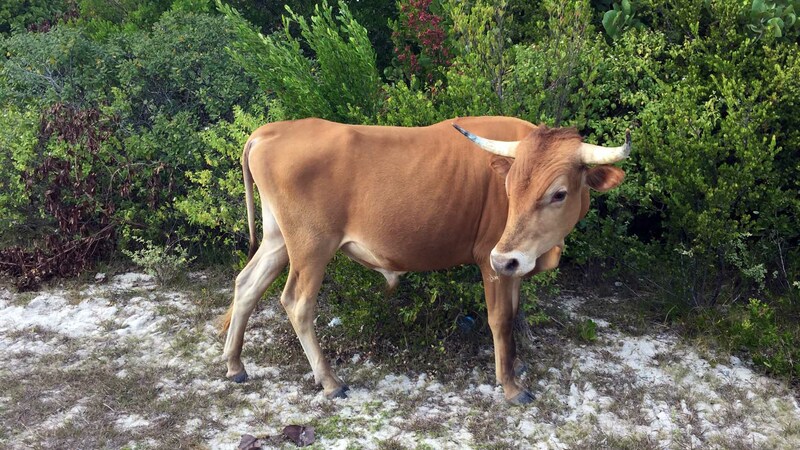 Certainly unique for Anegada! The Big Bamboo is the restaurant where we stayed the whole of our last trip, since it had been pouring. But this year, we just enjoyed lunch there, and spent the rest of our time at nearby Loblolly Bay. Jeff enjoyed the famous lobster. In addition to the restaurant, the Big Bamboo also offers accommodation, again in a unique form. But as we stepped out of the Big Bamboo and onto Loblolly Bay beach, everywhere we looked there was gorgeousness. This beach is simply stunning. And to the right, this view…. Truly, not a bad view to be had in any direction. But it was good news for this kitesurfer, who entertained us mightily. 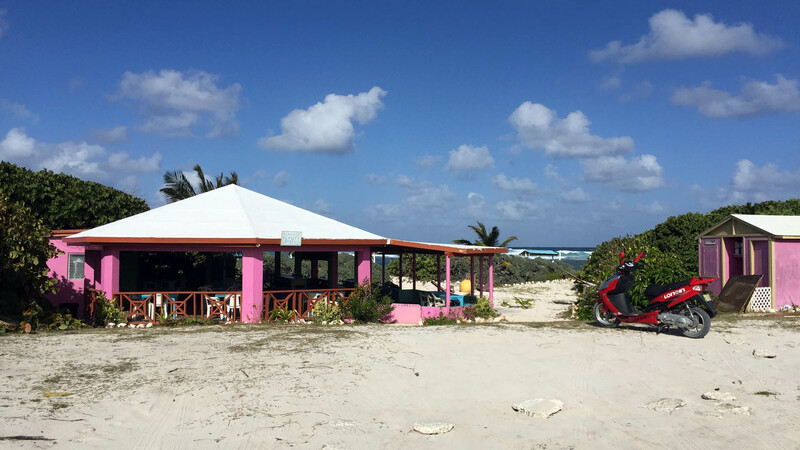 If you remember our last post on Anegada, you may remember that we were scouting it as a possible vacation location. Well, now that we’ve missed the snorkeling for a second time, we may just have to stay here for several days to make sure we get the weather we need to do the things we want! 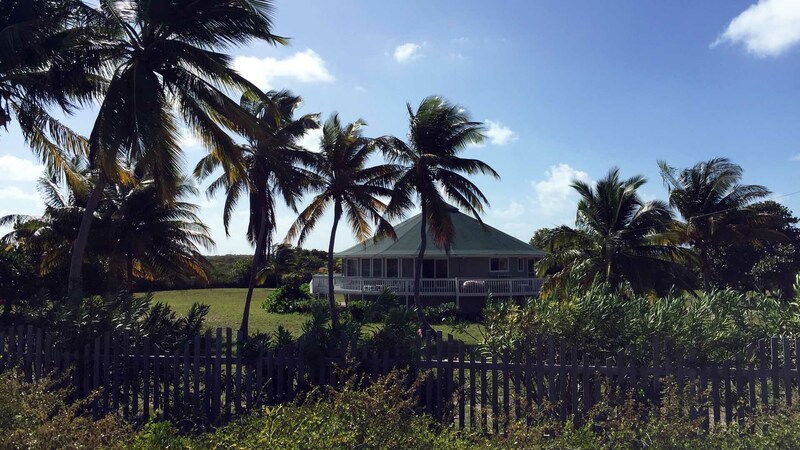 So, on that note, we had already looked up a potential VRBO (vacation rental by owner), and while on Anegada, we scouted it out. …but the view from the front of Lavenda Breeze is to die for…Mmmmmmm. Can you imagine how you’d feel waking up to this view each morning? Such rejuvenation! To the mid-left of the below picture, you can barely see the red roof of Lavenda Breeze. Such solitude and gorgeous reef snorkeling opportunities to be had here! 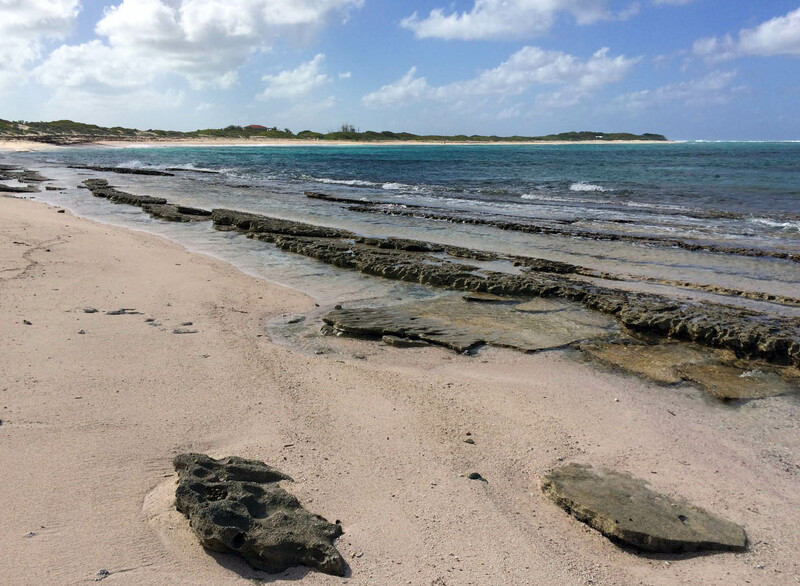 …and the surf was too rough to snorkel, we stayed here just long enough to soak in the view before moving on. From there, we went inland a bit to try to find the iguana sanctuary listed on the map. We never found it, and to this day, I’m not sure if it is a specific place you can visit, or if there is just an iguana territory in the middle of the island (like with the flamingos). I hoped for the former but imagine the latter to be true. And I really didn’t want to run into an iguana in the wild, so we didn’t search too hard. From there, it was back to the ferry dock to return Daisy to her rightful owner before heading back to Tortola on the ferry. Happily, the ferry ride home was much calmer than the ride over, which was so bouncy it even made a local sick…aye, aye, aye. 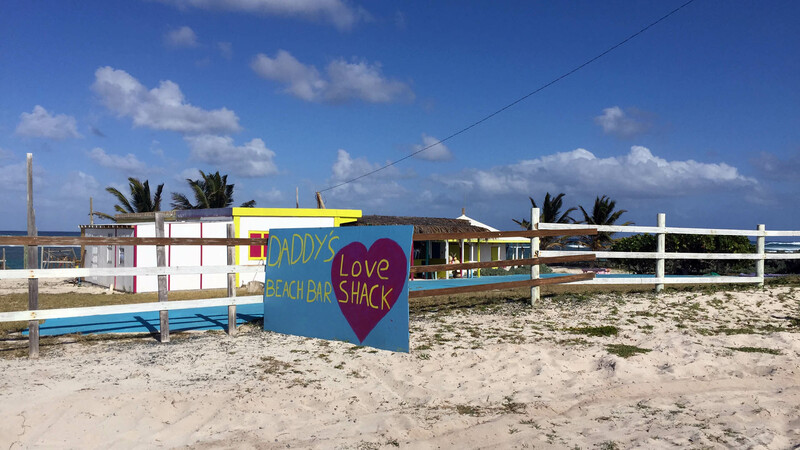 We hope you enjoyed this re-introduction to Anegada. Hopefully the third time will be a charm and we can actually share some awesome underwater photos! I am so jealous. I am going with you guys next time! It is going into the single digits at some point this weekend on the East Coast. Ha! I wondered how long it would be before you decided that! 🙂 And yes, this East Coast weather is for the birds! A 50+ degree temperature swing has left me with a head cold. Sigh. Hope you’re well!